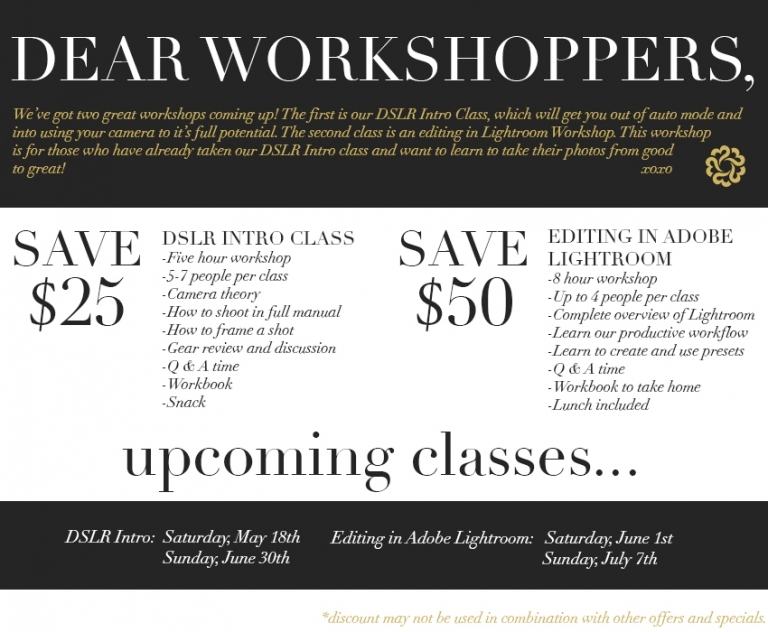 Check out our new workshop schedule for the next few months. We have some great promotions going on. Hope to see you there!